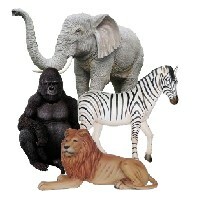 We offer a wide variety of animal statues ranging from farm animals, safari animals, jungle animals, various birds, forest animals, sea life animals, reptiles, dinosaurs, and more. 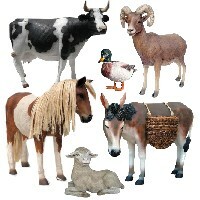 Our large selection of life size animal statues are hand crafted, made from a resin mold, and hand painted to the highest of detail to replicate all features of these animals. 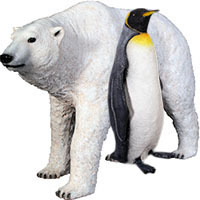 Great for indoor or outdoor use, these outdoor animal statues make great statements for outdoor gardens, outdoor commercial spaces such as zoos, golfing and miniature golf ranges, museum spaces, and much more. 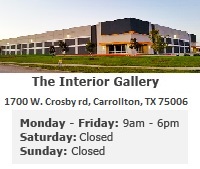 We recommend applying a coat of polyurethane prior to outdoor use. 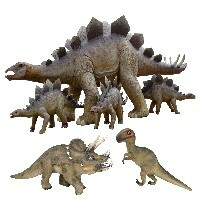 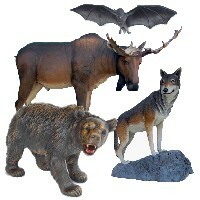 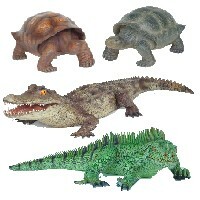 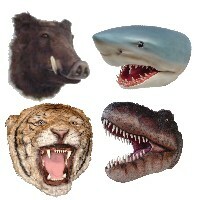 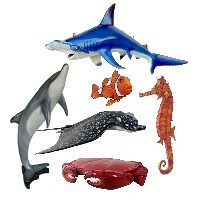 We also carry a large selection of animal statues that are comically painted for special events or commercial spaces. 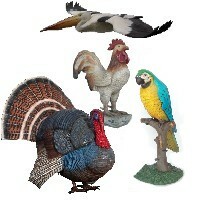 Other animals mimic cartoon styling for restaurants, homes, and outdoor spaces. 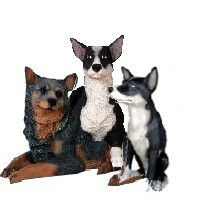 All statues are set at factory direct prices, please call for combined shipping rates.